Has it been difficult for you to find everything you need about bitcoin in one place… including all the tips for making money in the bitcoin world? If so, that’s the reason why we put together a bitcoin ‘investment’ guide with 33 critical questions that you should be able to answer prior to placing your bet on bitcoin. Today we are making this ‘investment’ guide available to our army of 88,290 Finstead fans. 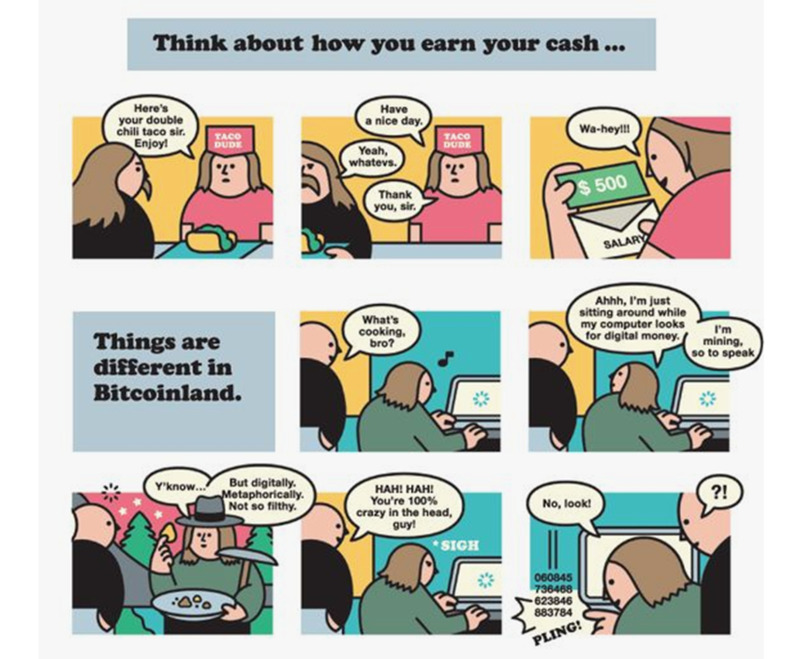 What you’ll find in this guide are some fundamental questions about bitcoin (in case you’re not very familiar with it), along with a few related money making tips. A word of caution: bitcoin is a speculation-on-steroids at this point in time. Think hard and use your judgment before putting any money into it, and be ready to lose all of your ‘investment’. Making Money On Bitcoin—in this final chapter, we’ll discuss ‘money making’ tips for bitcoin, bitcoin stocks, bitcoin ETFs, shorting bitcoin, bitcoin futures, ‘best’ cryptocurrencies for 2018, and bitcoin mining profit potential. Our research is all summarized for you so you don’t have to spend copious hours trying to answer simple questions. So let’s start with the fundamentals. Bitcoin is a system that allows for the storage and transmission of units of value, acting similarly to paper currency. It uses cryptography and the blockchain technology to make transactions secure. 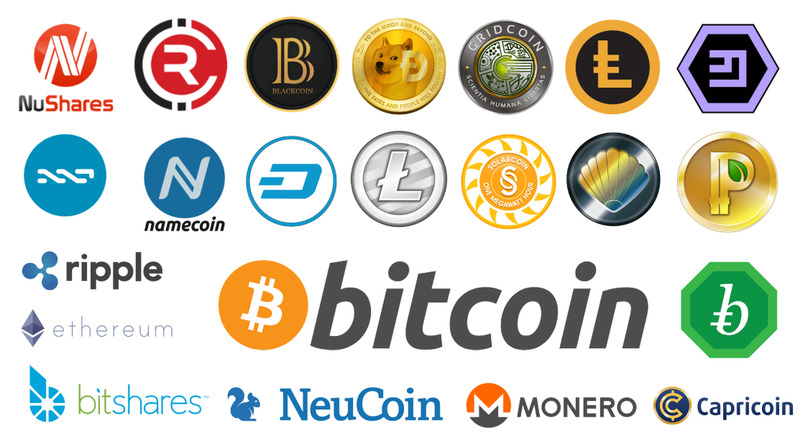 There are thousands of different cryptocurrencies today.Bitcoin has become the most established one. It is the first, the most valuable, and the most popular cryptocurrency thus far. If you’d like to learn more about bitcoin, we recommend watching the video below. Cryptocurrencies are a general name for bitcoin-like systems. You can think of cryptocurrencies as a form of digital money designed to be secure and anonymous in most cases. Just like bitcoin, cryptocurrencies use cryptography and the blockchain technology for securing transactions and preserving the anonymity of their traders. Cryptography is a process that converts legible information into an uncrackable code. It’s used for purchase tracking, cryptocurrency transfers and preserving the anonymity of cryptocurrency traders. Blockchain is a public ledger of all cryptocurrency (bitcoin) transactions. Blocks in blockchain refer to a growing list of cryptocurrency transaction records. Blockchain allows market participants to keep track of digital currency transactions without central recordkeeping. By design, blockchains are resilient to data modification. 5. What are the most popular cryptocurrencies? The 10 most popular cryptocurrencies besides Bitcoin are Etherium, Bitcoincash, Ripple, LiteCoin, Cardano, Nem, Iota, Dash, Eos, and Monero. Cryptocurrencies such as Ethereum and Ripple that are used more for enterprise solutions are becoming increasingly popular. 7. 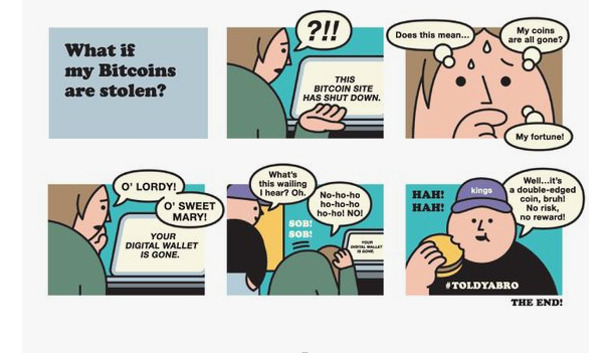 Is bitcoin just a fad and going away? There is no question that bitcoin is a bubble, but it is here to stay. Its price is likely to fluctuate wildly. The question is, how many of other cryptocurrencies will emerge as leaders, and how many will die?There is a growing competition in the cryptocurrency space, and some of the coins will inevitably have to go away. 8. Will Bitcoin become mainstream, i.e., widely adopted across the globe? It’s hard to say. Cryptocurrency enthusiasts believe that Bitcoin will eventually replace fiat currencies like US dollars. Others, however, argue that cryptocurrencies that have a limited number of units like Bitcoin won’t be used for this purpose. That’s because as more people use the cryptocurrency, the value will increase, which incentivizes users to save rather than spend. 9. What is cryptocurrency mining/bitcoin mining? It’s a process used for 1. Adding and verifying transactions to blockchain (the public ledger) and 2. Releasing new currency. The mining process involves compiling recent transactions into blocks and trying to solve a computationally difficult puzzle. Mining needs a computer and a special program, which helps miners compete with their peers in solving those difficult computational puzzles. It requires significant computational resources and it can be very expensive. 11. Where can I check bitcoin price (or any other cryptocurrency price)? There are a few sites that provide real-time bitcoin price (i.e., cryptocurrency prices). The one that may be the easiest to use is WorldCoinIndex. 12. Where can I find bitcoin market cap data? You can check cryptocurrency market cap data on WorldCoinIndex. Also, another site that’s easy to use and has market cap data is Cryptocurrency Market Capitalizations. 13. What are the most popular cryptocurrency exchanges (i.e., bitcoin exchanges)? Trading cryptocurrencies occurs on dedicated exchanges such as GDAX, Kraken, Bitfinex, and Gemini. These exchanges typically offer solid volume to trade cryptocurrencies through bank transfers or credit cards. Coinbase is a popular option because of its ease of use and a built-in wallet. However, Coinbase has somewhat higher fees, and the selection of cryptocurrencies is limited. Poloniex is another exchange that offers more than 80 cryptocurrencies for trading, but you can only use Bitcoins or other cryptocurrencies to fund the trades. 14. What’s the easiest way to buy bitcoin? Find a bitcoin wallet, a place to store bitcoin until you are ready to spend or exchange it for another currency. For beginners, we recommend Coinbase. Choose a bitcoin exchange platform. Coinbase is the most obvious suggestion for people buying their first bitcoin, because it’s simple to use and allows you to store your bitcoin. Decide how you want to pay for bitcoin. Bank account and credit card transfers are accepted by most exchanges. Wire transfers work from time to time, and PayPal transfers may not be allowed. Coinbase will allow for all these payment methods. Buy a bitcoin, use it and sell it when the time is right. You can use Bitcoin for purchases—and the number of stores accepting bitcoin is expanding. Because of pronounced price fluctuations, it’s important to have an end-game plan when you buy bitcoin. Set up a seller account now. 15. What’s the quickest way to sell bitcoin? The simplest way to sell your bitcoin is through an exchange platform. Whichever platform you choose, the process for selling bitcoins is pretty much the same. First, you will need to create an account and a wallet with the exchange (e.g., Coinbase) and link your bank account with it. Next, you will send your bitcoins there. Once your coins have been deposited, you can place a sell order, which means your bitcoins will be sold at the market rate. After the sale has been completed, the funds in the currency you specified will be transferred directly to your linked bank account, at which point you can withdraw it as you wish. Note that you will usually be charged a small fee for using bitcoin exchange services. 16. What’s a bitcoin wallet (i.e., a cryptocurrency wallet)? 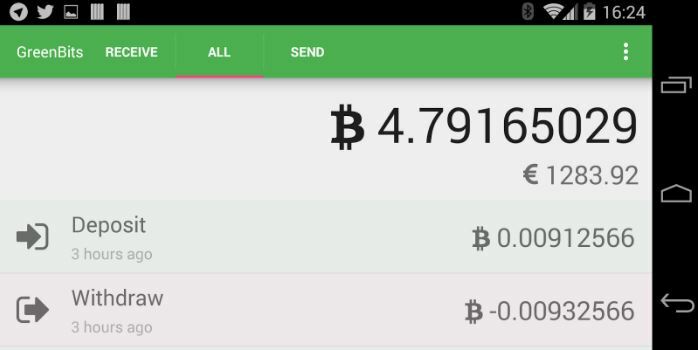 A bitcoin wallet is a software program used to store, send, and receive coins. Most coins have an official wallet or a few officially recommended third-party wallets (such as Coinbase). In order to use any cryptocurrency, you will need to use a cryptocurrency wallet. 17. How does bitcoin wallet work? Is it a real wallet? A bitcoin wallet is not a real wallet. It’s a digital wallet that issues a secure, private key (code) that only you and your wallet should know about. That private key is a proof of ownership of a public key, a digital key known to the public that basically says you own a certain amount of cryptocurrency. Your bitcoin wallet stores your private and public keys, allows you to send and receive coins, and also acts as a personal ledger of transactions. 18. Which bitcoin wallet should I use? If you are new to cryptocurrency, you may want to sign up for a service like Coinbase (which handles a wallet, trading, and exchange with one checking or credit account). You can keep Bitcoin, Etherium, and Litecoin in Coinbase, but not other cryptocurrencies at this point in time. If you have an interest in altcoins other than the 3 above, you may want to use a universal wallet such as HolyTransaction that can be used for any currency, or an officially endorsed wallet for any given coin. For Ethereum use either Ethereum Wallet or MyEtherWallet. 19. I’ve heard really smart people like Chamath Palihapitiya say bitcoin is going to be worth $1 million in the next 20 years. Should I follow recommendations by such smart people? Here is what you should know about Chamath. He was one of the biggest early investors in bitcoin. He initially bought the cryptocurrency at about $100, so he’s already made a plenty of money on it. Second, sources say his net worth is around $1 Billion. For rich people like himself, it’s OK to lose a fraction of their wealth. They consider this their “play money”, not an investment in the traditional sense of the word. They will still be fine financially if they lose their entire Bitcoin investment. If you feel like you are going to be totally fine even if you lose your entire bitcoin ‘investment’, then maybe should buy Bitcoin. If you think you’ll be kicking yourself over this decision, hold off and don’t buy it now! 20. What advice would you give to someone interested in investing in bitcoin/cryptocurrencies? Bitcoin is one of the most speculative assets out there. Prices are likely to swing widely. If you decide to ‘invest’, make sure you have the stomach for it. Forget about getting rich quickly. Most likely it won’t happen to you. Beware of groupthink and self-proclaimed experts. Youtube videos, Reddit comments, and Stocktwits can all be very entertaining and sometimes educational, but the last appropriate source of investment advice. Don’t think you’re late to the game and you have to buy bitcoin now. Acting based on panic thinking the price will climb to $100K is foolish. What would you do if you knew the price would move the opposite direction to $100 instead? Don’t spend more than you can afford to lose. Invest only your ‘play’ money: the money you spend on stuff you don’t need. This is not meant to be a replacement for your retirement / 401K. Just remember a famous quote by Warren Buffett: "Be fearful when others are greedy and be greedy when others are fearful." 21. What share of my assets should I put in bitcoin? If you’re OK with losing all of your bitcoin money, then you should set a limit on the share of your investment portfolio to put into it. The higher your net worth, the larger percentage allocation you maybe be able to afford. If the value of your investment portfolio is $100K or less, we don’t recommend putting more than 1%. If your investment portfolio value is over $10M, you might be OK with 10%. 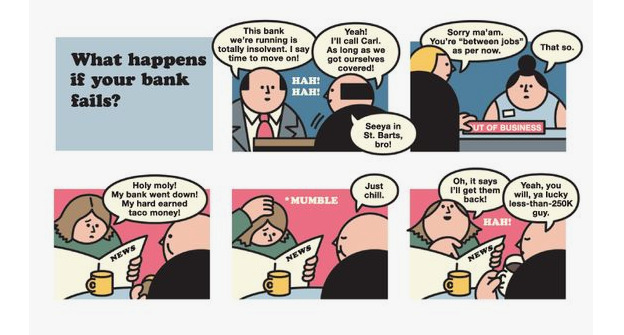 Whatever your percentage allocation is, please understand this is your play money, subject to extreme volatility. It can easily double, or completely vanish in the near-term. 22. How much money can you make mining bitcoin / other cryptocurrencies in 2018? You can expect to generate a small income (perhaps a dollar or two per day) mining bitcoin. The hardware cost you need to invest in for mining (~$1000) can be paid off in 18-24 months. The profit from mining bitcoins can become more significant if you invest a significant chunk of money ($3000-$5000) in up-front hardware costs. In such cases, you can potentially earn $50 per day or more. You can make a profit from bitcoin mining if you invest a solid amount of money in your mining ‘gear’ and you dedicate time to it. If you don’t have the time or the money, mining may not be right for you. 23. Is it possible for bitcoin price to drop significantly? If so, under what circumstances? Algorithms and security—there is no mathematical proof that the cryptographic algorithms used in Bitcoin are actually secure. They are believed to be secure because nobody has been able to break them after many years of intense scrutiny. Regulatory actions—bitcoin could be heavily regulated, limiting the rules about who can invest in it and under what conditions. In the extreme cases, it can be completely outlawed. Just remember that SEC halted PlexCoin on charges of being an ICO scam, and it suspended trading in The Crypto Company over stock manipulation. And South Korea is talking about a potential shutdown of at least some cryptocurrency exchanges to stamp out a frenzy of speculation. Market manipulation—a recent Bloomberg report disclosed that a group of 1000 investors own 40 percent of all Bitcoin. These big investors are often referred to as the whales. If some among them are acting in unison, they could manipulate the market to their whim. The whales could sell off at record highs, drop the market to record lows, and then buy back in. Lack of utility—few cryptocurrencies currently serve a purpose that benefits the average consumer more than cash does. With a few exceptions, cryptocurrencies are more difficult to use for everyday transactions, meaning many in the market are there for speculative investment. If there is no clear benefit to consumers, speculators will ultimately back off. 24. Under what conditions can bitcoin realistically reach $150K in the next 12 months? If bitcoin were to reach $150k in value that means its market cap would be over $2.5 Trillion, which is larger than the GDP of the United Kingdom (or France or India for that sake). If that happened, there is a pretty good chance some serious issues in the prevailing economic regimes would occur that would cause people to lose faith in the fiat currency. Ask yourself: do you expect the prevailing economic regimes to go down next year? If you anticipate some serious issues in the world economy in the next 12 months, perhaps you can bet on bitcoin reaching $150K this year. 25. Bitcoin is so expensive. Should I be looking at buying other cryptocurrencies because Bitcoin is priced so high? First of all, you should understand that all trading cryptocurrencies is a speculation, not an investment, at this point in time, more akin to gambling than investing in mutual funds or real estate. The question you’re asking sounds a little bit like: “Should I play blackjack or craps if I don’t have $100 for poker?” But there is a caveat. When it comes to trading cryptocurrencies, you don’t have to buy a full bitcoin. Instead, you can buy a fraction of it. You should buy those cryptocurrencies that you understand and believe in. If Bitcoin is the only currency you understand and value, then stick with it, regardless of what the price is. If you don’t understand any of them, perhaps you can skip them all together. 26. Should I use Dollar Cost Averaging (DCA) when buying bitcoin? First, let’s explain how DCA works. It is an investment methodology where you invest a fixed dollar amount on a schedule regardless of the current market price, averaging out your buy-in price over the lifetime of an investment. The advantages of DCA are 1. automating an investment strategy; 2. ‘protecting’ against one-time losses; 3. taking emotions out of decisions. DCA makes sense when you expect the value of an asset to go up over a longer period of time. It protects you against short-term losses that might be incurred by lump sum investing during downtimes. When it comes to bitcoin, you have no idea how the asset will perform over time. You don’t know whether it will grow or decline. With highly speculative assets like bitcoin, what we recommend you do instead is, set and write down your ‘investment’ strategy upfront. Articulate how much money you will invest over what period of time, in what chunks of money and under what conditions. Don’t do blind DCA because buying bitcoin is not an investment. It’s more akin to playing poker in Vegas, for which you’d need to have a really good strategy (and a lot of luck) if want to win. 27. What is the best cryptocurrency to ‘invest’ in 2018? This question sounds somewhat similar to which lottery is the most lucrative to play (e.g., Powerball, scratch-off instant game, raffles or something else)? Bitcoin is touted because of the fixed number of units in circulation and Bitcoin miners that are perceived as key to Bitcoin security. It’s also the most mainstream cryptocurrency. Despite skepticism, numerous industry insiders believe that Bitcoin is here to stay, and it’s slowly adopted throughout the world. 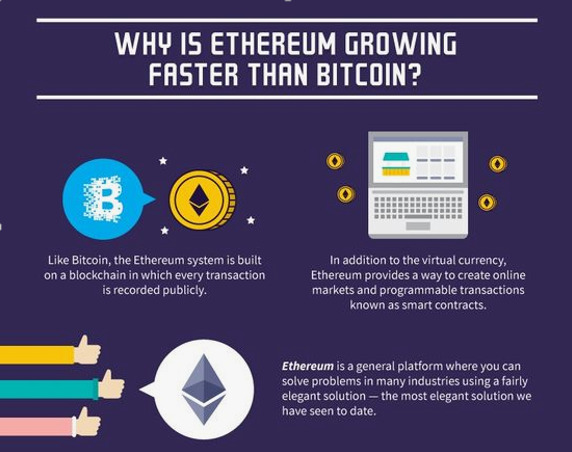 Ethereum is the second largest cryptocurrency by market capitalization. Speculators argue that this cryptocurrency has all the potential to overcome Bitcoin. Ethereum has surpassed Bitcoin in terms of the number of transactions, and large institutions such as JP Morgan Chase and Microsoft have gotten behind it. See the chart below on Ethereum growth (courtesy of ValueWalk). Ripple is a real-time money exchange for large banks, and a remittance network built on blockchain. It’s viewed as a scalable digital asset enabling global payments. Ripple works with regulators, as opposed to around them. Ripple is a venture-funded company based in San Francisco, founded by a serial entrepreneur Chris Larsen. Litecoin was created to manage some of the flaws in the original Bitcoin protocol. Introduced back in 2011, Litecoin is almost identical to Bitcoin in terms of features. The value of this coin is derived from the user adoption. IOTA is believed to have one of the biggest potentials to human life change. This cryptocurrency is concentrated on Machine-to-Machine (M2M) transactions. This cryptocurrency is quite different from other digital currencies since it is not even based on the blockchain system. 28. One investment strategy I’m wondering about is to buy currencies that are going to be listed on Coinbase (which is a proof that they’ve gone mainstream). That way I’ll buy them before they’re available to a broader population, and hopefully make a profit. Is this a good strategy? OK, so this question sounds somewhat similar to, should I buy a stock that’s about to get listed on NYSE (assuming I have access to private markets)? So it really depends on the fundamental value of a coin. If you think the coin strategy and differentiated and it has a potential to attract much more capital, you might want to gamble on it. The fact that Coinbase is listing a cryptocurrency is not a proof of success. In fact, it may turn into a complete flop, just like many IPOs have. For every Google or Facebook out there that grew 10x since the IPO days, there is a Snapchat or Blue Apron. So be careful about thinking that a cryptocurrency listing on Coinbase is a proof of success. 29. Should I be investing in public companies that have capitalized on the cryptocurrency movement? Like Riot Blockchain or Overstock.com? First, let’s acknowledge that single stocks are typically a very risky investment. Now let’s look at Riot and Overstock. 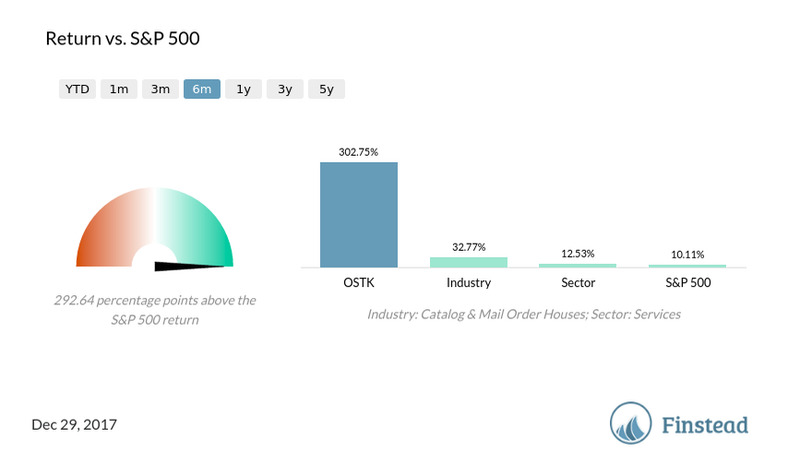 Shares of Overstock.com have surged more than 300% in the last six months as the company announced it would enter into the blockchain and cryptocurrency space. Riot Blockchain was formerly a small biotech company, which only recently announced it would incorporate blockchain technology into its business. The company, formerly known as Bioptix, changed its name to Riot Blockchain in October -- and instantly saw a surge in its share price. The stock soared over 500 percent in the last three months. 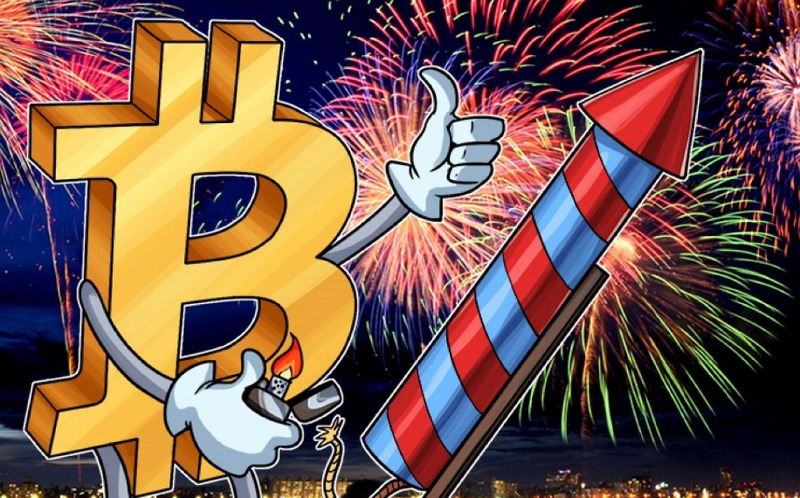 Cynics argue that public companies lacking investors’ attention are getting into crypto in hopes of attracting a market spike. They resemble companies that saw their stock prices shoot up if they simply added a “dot com” to their names. If you don’t understand cryptocurrencies and you’re not a blockchain fan, you should stay away from those companies. If you understand the ins and outs of blockchain, and totally endorse Riot’s and Overstock’s business strategy, then maybe you should invest. Just remember that those companies had a meteoric price rise in the recent history, so you’d be investing near the all-time high. 30. What should I know about Riot Blockchain before investing in it? Until October 2017, Riot had nothing at all to do with Bitcoin or blockchain technologies. The company was known as Bioptix, which was a micro-cap biotech firm. They went through layoffs in January 2017 and a CEO change in April. Their main goal had been to commercialize medical diagnostics instruments and IP related to the technology they were focused on, Enhanced Surface Plasmon Resonance. In October 2017, Bioptix renamed to Riot Blockchain and disclosed a 12% stake in Canadian cryptocurrency exchange Coinsquare. Since then the stock skyrocketed. 31. What does the debut of bitcoin futures on the Chicago Mercantile Exchange mean for individual investors? Should that sway my thinking around whether to buy bitcoin? Since the announcement of bitcoin futures on December 10, 2017, there was a major run-up in bitcoin. This certainly caught investors’ attention. You might have heard that Goldman Sachs is setting up a bitcoin trading desk. Let’s first talk about what futures are. A futures contract allows investors to buy or sell a certain amount of a commodity at a predetermined price at some known point in the future. Typically, futures contracts can change hands many times until the settlement date. Bitcoin futures allow institutional investors, who previously might have been barred from getting on the crypto action, to make an active position on the market; they could take both long and short positions with futures, which means the price can swing widely. What that means for you is that you should expect to see even more volatility in bitcoin, since now all institutional investors can put their large chunks of money to work. If the price starts falling past a bubble, it may fall much faster than one had originally envisioned. So if you fundamentally believe in bitcoin, you should still gamble on it. Just be ready for a rocky ride. 32. How can short bitcoin or bet against bitcoin? We’ll give you some ideas on how to bet against bitcoin and blockchain. Note—not all the ideas are easy to implement. Like with any shorting, please exercise your judgment; you might lose your investments really fast. Bitcoin margin trading. Many crypto exchanges allow this type of trading, with margin trades allowing for investors to borrow money from a broker in order to trade. Try BitMex, AVAtrade, or Plus500 to short bitcoin. Futures. In a futures trade, a buyer agrees to purchase a security with a contract which specifies when and at what price the security will be sold. If you buy a futures contract, your sentiment is that the underlying security price will rise. However, if you sell a futures contract, your core belief is that bitcoin will decline in price. Selling futures is a great way to short bitcoin—and check out OrderBook.net for buying and selling bitcoin futures. Prediction markets. In the bitcoin world, they have not been around for a long time. These markets allow for investors to predict that bitcoin would decline by a certain margin or percentage. If anyone takes you up on the bet, you'd stand to profit if the event comes true. Predictious is one of the most popular bitcoin prediction markets. Short stocks with a significant blockchain exposure. Such stocks are Overstock.com (OSTK) and Riot Blockchain (RIOT). Both of these are already heavily shorted stocks, and you’ll need to find a brokerage that is willing to borrow you some shares. Our suggestion—try Interactive Brokers. Short stocks that indirectly benefit from crypto-mining. The two stocks that are most frequently mentioned in this context are AMD and Nvidia. AMD already warned that crypto-related demand may be flattening. Buying 3x inverse semiconductor ETFs. It’s no secret that a recent run-up in bitcoin was preceded by a lot of crypto mining activities, from which the semiconductor industry profited. However, when the profit opportunity from mining vanishes, a downturn in the already cyclical semiconductor industry is inevitable, at which point you may want to invest in an inverse 3x semiconductor ETF, such as SOXS. 33. Should I buy bitcoin ETFs instead of bitcoin, if I’m interested in cryptocurrencies? The ETFs allow traders to bet on cryptocurrency futures: both long and short. ETFs are a convenient investment vehicle. Buying bitcoin ETFs is arguably easier than signing up for a crypto wallet and an exchange account, and trading the actual bitcoin. 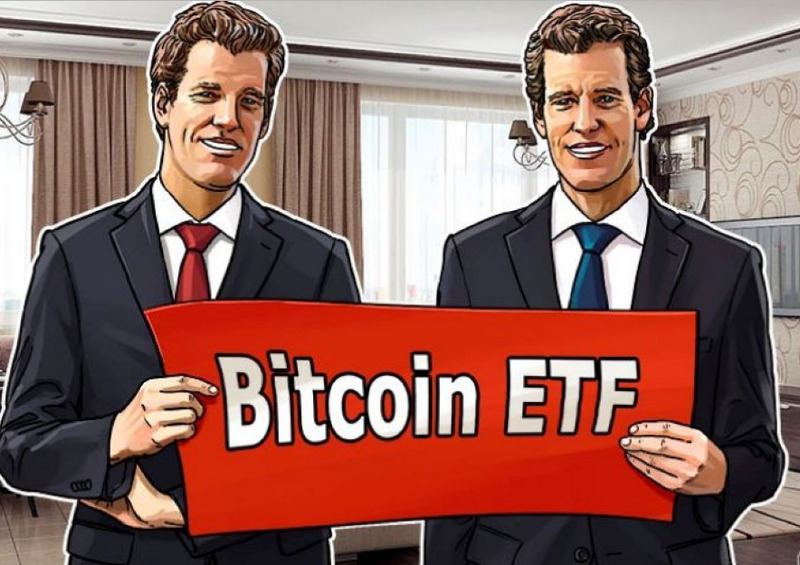 The ETFs also allow you to take a short position on bitcoin. However, you should know that bitcoin ETFs may not track the price of bitcoin on exchanges. Also, bitcoin futures (that bitcoin ETFs depend on) are new and could be less liquid and more volatile than other markets. And finally, rolling bitcoin futures could have a negative impact on ETF performance. So if you’re OK with those bitcoin ETF downsides (e.g., tracking errors, a potential lack of liquidity), the ETFs may be a convenient way to bet on or against bitcoin. If you have any questions about bitcoin or ideas for bitcoin topics to cover, send us an email at: hi [at] finstead [dot] com.